Italian herbs - a rewarding experience from the garden to the dinner plate! Using fresh grown herbs in our cooking recipes is one of the benefits of growing your own herbs. Many recipes, regardless of origin, call for the use of herbs - Italian cooking is no exception. From risotto to roasted lamb, fresh herbs offer a wealth of flavor and aromas which make even your neighbors start asking, "What's for dinner?" Here are three common Italian herbs which are used in many Italian dishes from simple salads to hearty soups. Picture: Parsley leaves make many a dish! There are two main types of parsley, flat and curly. Curly is what we most often see used as garnishes in restaurants. Flat parsley is also called, Italian parsley and bears a slightly more bitter yet milder taste. Although curly is more commonly used, either is fine and you are no less or no more Italian to prefer one or the other. If growing parsley from seed, start indoors early in February or March. Otherwise, if using plants bought at the store, plant these when the weather is warmer and there is no chance of any frost occurring. You want the plants to be approximately 1 foot apart from each other as these will grow bushy. The less chance of overcrowding with the roots, the better off your new culinary herb will be. As with most herbs, snip the plants in the mid morning after the dew has left. This is when the oils within the parsley are most potent since they have not yet been dried up by the sun. Simply store the herbs in a jar filled with about an inch of water. See How to grow parsley outside and in for more on this amazingly useful herb. When the parsley is fully grown you are ready to start using your new herb. Use parsley as a way to season breaded chicken breasts by adding about a 1/2 cup of it to your bread crumb mixture. Keep in mind, the flavor of the fresh parsley will become less intense as it cooks, so do not be shy with your quantities. Serve on a colorful serving tray along with some fresh green beans as a side dish. Don't forget, parsley is still good as a garnish - just remember it is good to eat! Sweet basil is the most common variety of basil. It is a suitable name for an herb which naturally gives a sweet flavor to many salads and other dishes. Picture: Basil is one of the essential Italian herbs. It likes plenty of sunshine. 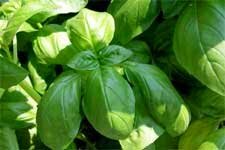 Because basil is such a fragile herb in its beginning stages, it is advisable for those who do not possess an astute green thumb to purchase some starter plants at a nearby store. Look for organic varieties which have been cultivated without the use of herbicides or pesticides. Choose a location where there is plenty of sun. This means at least 6 to 8 hours of direct sun each day. Make sure the soil is fairly rich with organic matter and adequate drainage is supplied. Plant the seedlings near the end of May when you know there will be no more frost. This is very important as basil does not grow well at all in the cold. It will take approximately 2 months until the basil reaches maturity. For a bushier basil plant, try trimming the basil leaves when they first begin to form - from the top of the plant. This will stimulate more growth and produce a healthier and bushier plant. Basil can be used in more than just Italian dishes, but you can never go wrong mixing a nice bowl of fresh tomatoes, chunks of fresh mozzarella cheese, hand torn fresh basil and a nice drizzle of olive oil and a dash of salt to go along with it. Give it a good stir and let the flavors have time to absorb and intermingle. Serve in a bright bowl to compliment the beautiful colors of the red tomatoes and the bright green basil. This is a perfect salad for serving with freshly cooked pasta served in your favorite large pasta bowl. If you've ever had lamb at a restaurant, odds are you've had it seasoned with rosemary. Rosemary is a wonderful Mediterranean herb which not only offers aromatic fragrances to many meals, but also provides nice ornamental enhancements to your own landscaping. Picture: Rosemary leaves add flavour to roast and chipped potatoes and many meat dishes. It is easy to grow and easy to harvest as needed. Rosemary is in fact an evergreen and can grow beyond a few feet in height if not properly pruned. To start growing this herb, it is easiest to purchase an organic seedling from a nearby store. If starting with seed, it will require a long germination period, at least 6 to 8 weeks prior to the last frost date. You must keep the soil moist on a daily basis, but be careful not to soak the soil either. Once the plants begin to grow cut back on the watering to once a week. Like basil, rosemary does best in full sun. Space the rosemary plants approximately four feet from each other, ensuring there is room for adequate growth. It will take about 5 months until the plant reaches full maturity (less than that if starting with a seedling). Once mature, you need to water the plant only during very dry periods. Remember it is an evergreen after all. See also How to grow rosemary for more details. 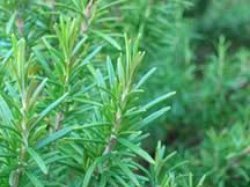 Rosemary goes wonderfully in many meat dishes such as oven roasted whole chicken to lamb sautéed in an oil and herb sauce. It is also a great herb to use when roasting chopped potatoes. Simply chop the potatoes and place in a baking dish. Drizzle with olive oil and toss in 2 sprigs of rosemary along with a few crushed garlic cloves. 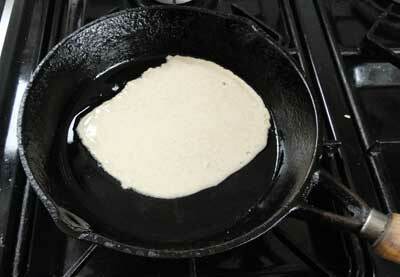 Cook for 40 minutes at 400 degrees F. Check periodically to make sure no burning occurs. The smaller the cubes the quicker it will cook. Serve on a decorative serving platter or in a serving bowl. This easy Italian recipe will have your guests coming back for more. Choosing to grow your own Italian herbs, whether indoors or outside, holds many advantages to the culinary cook - albeit a novice or world renowned expert. Having access to your own herbs is just a small part of what one can do to develop a system of self sustainability. Being able to walk out to the back yard to pick a few handfuls of fresh parsley or fresh basil is convenient, economical and very rewarding. Get your green thumb ready for exercise and start your own herb garden today! website available for anyone who wants to return to the basics of Italian cooking. For more Italian recipes with herbs, see the authors website and/or check out some of the books from Amazon here and in the side panel. Herbs can be a great part of green living because they are natural foods which contribute to health and well being and because growing herbs at home promotes beneficial insects and biodiversity. Growing Mediterranean herbs is fairly simple for the most part. They certainly have a massive place in any kitchen where tasty and healthy food is valued. For more on growing herbs at home please see my page: Growing herbs indoors and out.